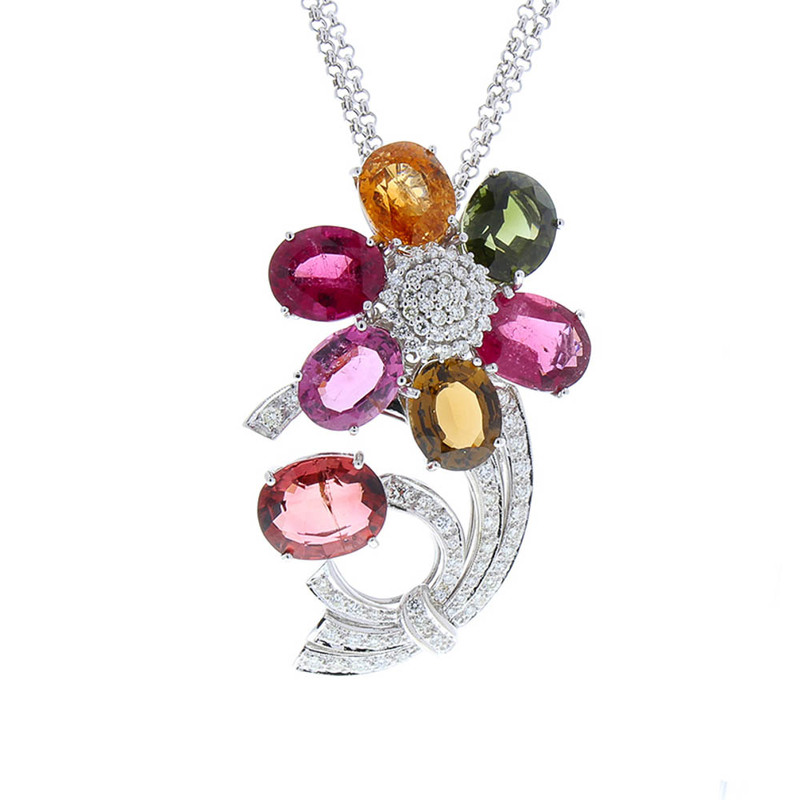 This is a flower pendant that blooms with vibrant colored tourmalines and sparkles with diamonds and is sure to leave a long lasting impression. The gem source is Brazil; their transparencies and luster is excellent. Perfectly matched, 7 oval cut tourmalines are prong set into a swirling flower totaling 70.00 carats of pure natural color. 82 scintillating round brilliant cut diamonds are prong set and arranged around the tourmalines creating a floral motif totaling 1.90 carats. This pendant sits on a double rolo link chain and is created in brightly polished 18 K white gold.